"A South American twist on North American fish, with Brazilian-inspired spices." Preheat the oven to 425 degrees F (220 degrees C). Grease a baking sheet. 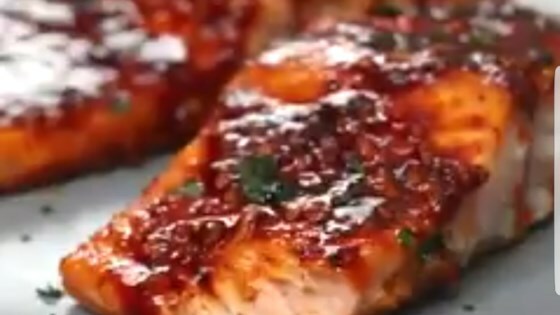 Place salmon fillets on the prepared baking sheet. Mix olive oil, brown sugar, garlic, smoked paprika, paprika, and chile powder together in a bowl. Spread mixture over salmon fillets. Squeeze lemon juice on top. Bake in the preheated oven until fish flakes easily with a fork, 13 to 15 minutes.